Exceedingly easy to operate, works well, good value. No built in grill or convection oven - other than that, the IG2855 is great. The sleek yet functional Igenix IG2855 microwave provides a fairly standard specification, but with the added bonus of an easy to operate dial control system - simply select the mode on the higher dial, and then select a time period on the lower control. 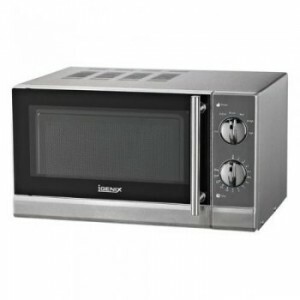 As such this microwave will be ideal for the elderly, or any other groups who require a basic silver microwave for cooking and reheating without complicated controls. Capacity is a generous 20 litres, and the IG2855 features 5 different power levels, with the highest offering a 800w output. The timing system only goes up to 30 minutes, but this will be adequate for the majority of users. The Igenix finishing is mainly stainless steel which will neither rust, nor be awkward to clean. Our testers liked the overall look and feel of the Igenix IG2855, and the majority were impressed by the overall value of this model. If you're looking for a relatively cheap, yet functional and exceptionally easy to operate microwave, that is both easy to clean and looks the part, then the IG2855 from Igenix is well worth looking at. 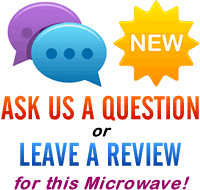 How durable is IGENIX IG2855 800W STAINLESS STEEL MICROWAVE OVEN?AND WHERE IS IT MADE?